Checking in on the poker action in India, Adda52, the country’s online poker giant, recently concluded a highly successful inaugural tournament called the Big Millions. This was the biggest tournament held by the brand with a 1 crore (~US$153,800) guaranteed prize pool. At the end of the month, action gets underway for Season 2 of the Match Indian Poker League (IPL). The competition is sure to be a heated one with 10 teams hunting down the 40 Lakh (~US$61,500) winner’s purse. We’ve got those stories for you below. On March 4, Adda52’s Big Millions saw a massive attendance of Indian players flooding the virtual tournament arena. For just INR 11,000 (US$170), each one bought themselves a chance at the 1 crore guarantee – the biggest prize pool offered by the brand for a single tournament. However, when late registration wrapped up, things got even juicier. There were a total of 1,175 entries to drive the prize pool upwards to INR 1,17,50,0000 (~US180,700). In addition to the prize pool, there were other factors that made the event very popular. It was a two-day tournament with the first round held online at Adda52. By the time it reached the Final 8, the game was then paused for the next round, the live game which was held on March 10. The final table-ists were flown to the Deltin Royale in Goa for the race to the title and the INR 28,50,550 (~US$43,800) first prize money. Winning the event was Kalyan Chakravarthy becoming the first player to be inducted into the Big Millions Hall of Fame. This was an impressive achievement for Chakravarthy who scored big in Macau just last month. On February 7, Chakravarthy finished runner-up at the Doupai Cup Main Event at the Babylon Casino. He earned HK$99,600 (~US$76,600), his largest live tournament payout. On November 2017, Match Indian Poker League was launched in Mumbai with 7 Indian poker teams hailing from various cities across the country going up to battle. This was the first time an event of this format had ever been introduced in India. 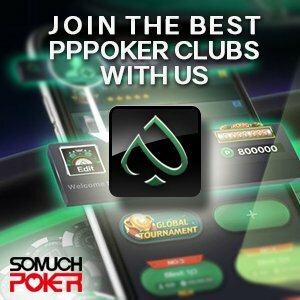 The teams consisted of 10 players, with the objective of scoring a high number of points on the Match Poker App within a set number of hands. The Mumbai All Stars came out victorious, proudly winning the 1.25 crores (INR 12.5 million) on home turf. Four teams will receive cash prizes with the winning team earning 40 lakhs (~US$61,500), the largest cut of the 1 crore pot. The winning team will also get the chance to represent their country at the Match Poker Asia Nations Cup scheduled for Bangkok in April.